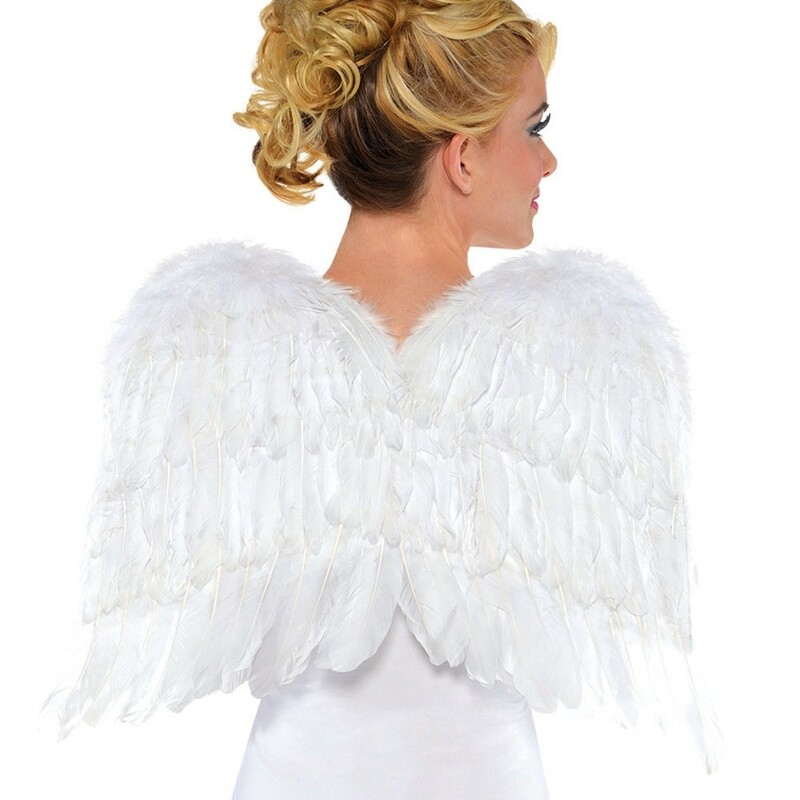 Feather White Angel Wings – measuring 56cm. White Angel Wings –The wing span on these beautiful White Angel Wings is 56cm with simple elastic straps that sit over your shoulders. These White Angel Wings will arrive folded in a packet. 1 x Pair of White Feather Wings.